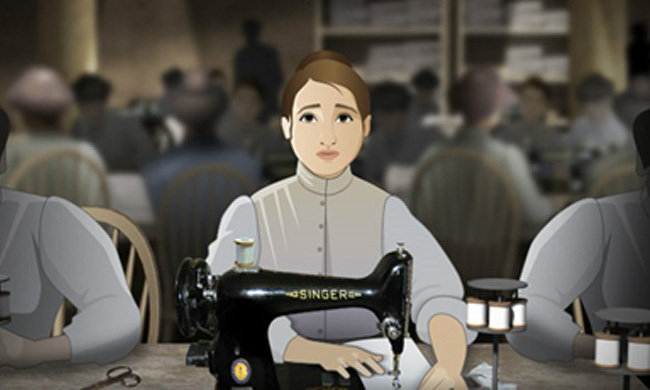 The Library of Congress, National Archives and Records Administration, National Endowment for the Humanities, National Gallery of Art, National Park Service and United States Holocaust Memorial Museum join in paying tribute to the generations of Jewish Americans who have helped form the fabric of American history, culture and society. 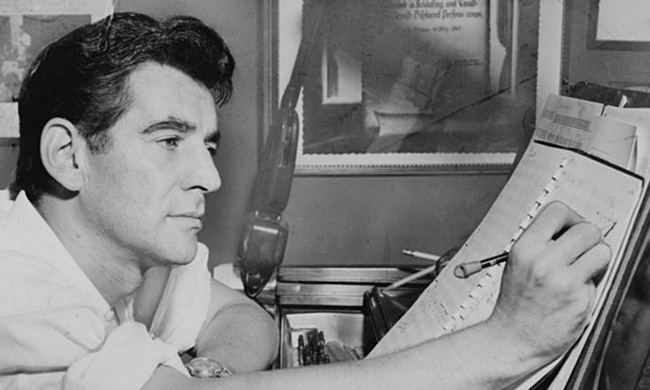 Leonard Bernstein, arguably the most prominent figure in American classical music of the second half of the twentieth century, made his impact as a conductor, as a composer of classical and theater music, and as an educator. The online collection makes available a significant selection of correspondence both to and from Bernstein, musical sketches for several of his major works, writings, including the scripts for his Young People's Concerts, Thursday Evening Previews, Omnibus, and Ford Presents, his scrapbooks, photographs, and audio-visual materials. Image credit: Leonard Bernstein, half-length portrait, facing right, seated at piano, making annotations to musical score / World Telegram & Sun photo by Al. Ravenna. Photograph. Library of Congress. 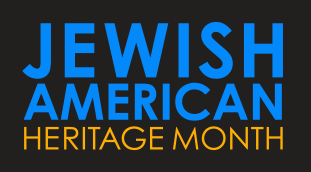 Each May, EDSITEment celebrates Jewish American Heritage Month by pointing to the rich array of educational resources on the history of the Jewish people in America. Many of the programs and websites highlighted have been funded in part by grants from the National Endowment for the Humanities over the past decades. Holocaust survivors tell their life stories in their own words, uniting personal experience with history in a way that is extraordinary in its immediacy and power. Each hour-long program features a live interview between journalist Bill Benson and a survivor. 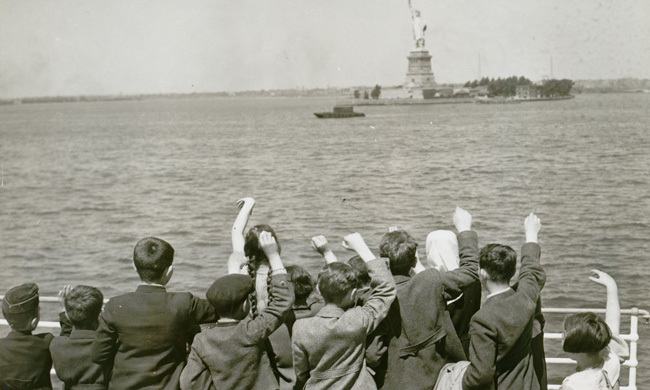 Americans and the Holocaust: What Did New Yorkers Know? While media around the country provided frequent and vivid accounts of rising Nazi brutality in Europe, Americans tended to focus inward in the 1930–40s. Step back in time with Museum and local experts to explore headlines and artifacts from that time period in New York. A day-long, immersive experience anchored by an extensive display of manuscripts, letters, playbills, photographs and memorabilia, sketches, casting notes, and designs. Pianist Jon Kalbfleisch and a team of singers will be on hand to perform musical vignettes.